It's hard to forget the year that song "Sweet Disposition" was all over the radio. It was 2008 (when you still listened to the radio) and your favorite indie flick 500 Days of Summer was on its way to hitting your local movie theater the following year. The Temper Trap, the band behind the single that eventually reached No. 9 on the Billboard Alternative Songs chart, was one of the many featured on the Zooey Deschanel-led film's incredible soundtrack (we're talking Morrissey, Hall and Oates, and Regina Spektor, people). From there, the Australian rockers, who had been a band for a few years before that breakthrough single off of their debut album, Conditions, became a staple on airwaves everywhere. With only two other records released since the year of Tom Hansen (Joseph Gordon Levitt) and Summer Finn (Deschanel), The Temper Trap's music has become somewhat of a novelty. Their latest release, Thick as Thieves, marks the first time the four-piece has collaborated with outside songwriters, which gives the 14 tracks new variety, while still keeping Dougy Mandagi's vocals at the forefront. Currently on tour in support of the album, we caught The Temper Trap live in Austin, TX with openers Coast Modern. 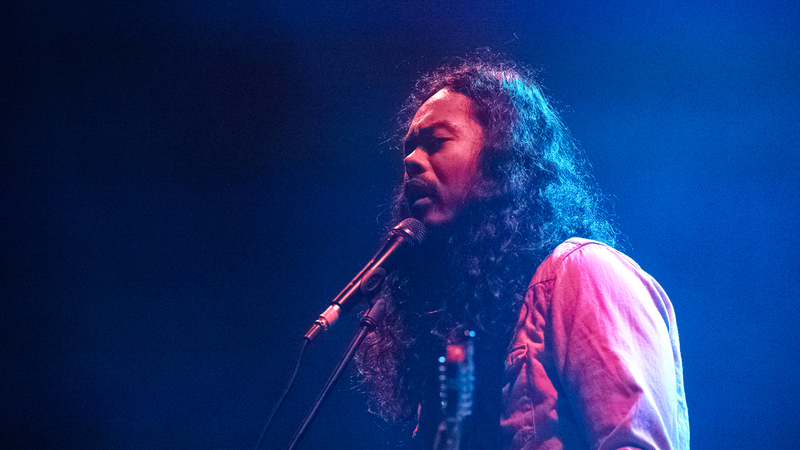 Check out the photo gallery below, then Track The Temper Trap to see when they're coming to your town!